If you want your enemy to drop their weapon, hit them on their hands! 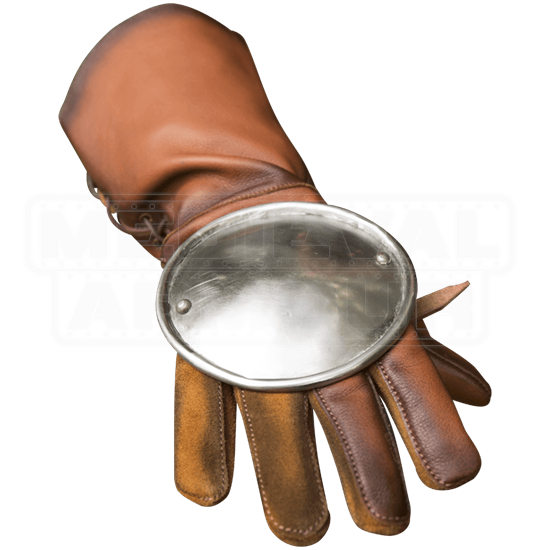 But then, your enemy probably knows that trick, so you should get some Steel Rondel Hand Protection, that way they cannot hurt your hands and disarm you. These practical handguards are made from polished 19 gauge steel and display a round buckler shaped design. High-quality leather straps and metal buckles allow you to adjust the fit. The rolled edges of these round hand protectors ensure that you do not hurt yourself with it. 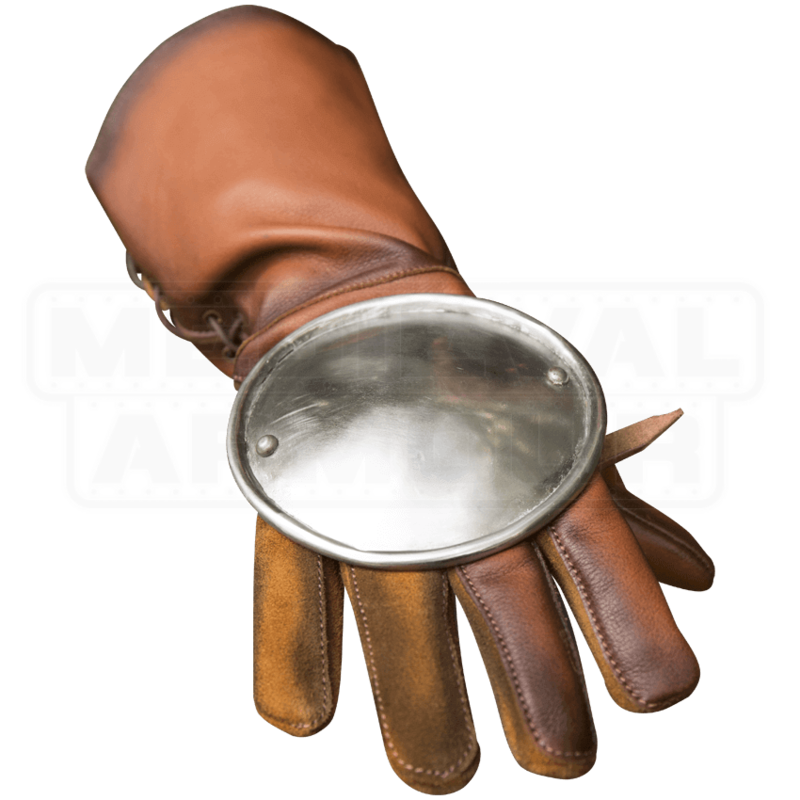 Add this hand protection to any combat themed cosplay or Ren Fair outfit and look the part!